The show took place at the 19,000 capacity Golden 1 Center. 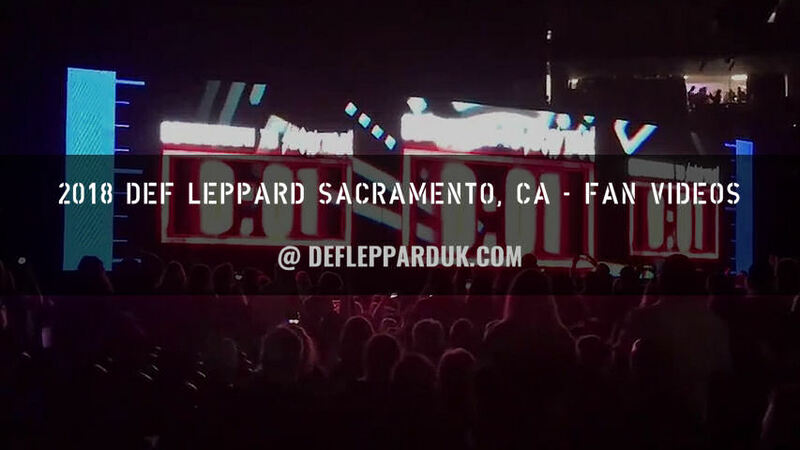 The band last played Sacramento on 24th September 2016 on the Summer Tour 2016. The 17th show the band have played in Sacramento (or Wheatland) and first time at this venue. The first visit to Sacramento was in May 1980 at the Memorial Auditorium as support to Pat Travers. They returned to the same venue in November 1981 with Blackfoot on the High 'n' Dry tour. The first headline show didn't take place until November 1987 at Arco Arena. An In the Round show on the Hysteria tour with home town boys Tesla as support. The first outdoor show in the city took place in August 1988 on the same tour with Europe as support at the California Expo Grandstand. The same combination of shows was played on the Adrenalize tour with an In The Round show played at Arco on 25th September 1992 followed by another outdoor show in July 1993. The California Expo Grandstand was played for the third time in August 1996 during the Slang tour and for the final time in September 200 on the Euphoria tour. The band returned to the Arco Arena for shows in December 2002 on the X/Ten tour and again in November 2005 on the first Rock Of Ages tour. Since August 2006 all shows have been played at Toyota Amphitheatre. The shows in 2006, 2007, 2009, 2011 and 2014 were all played under the name Sleep Train Amphitheatre. The same venue was then played at the last show here in 2016 as Toyota Amphitheatre. 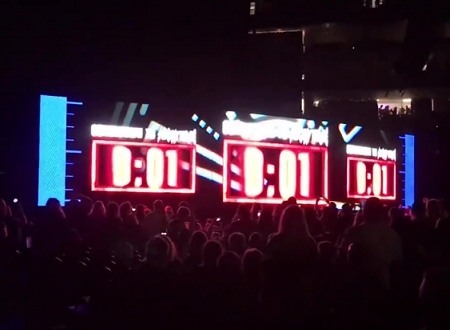 'When Love & Hate Collide' was played in Sacramento for the first time. The next show takes place on 6th October in Los Angeles, CA. Played for the first time in Sacramento.